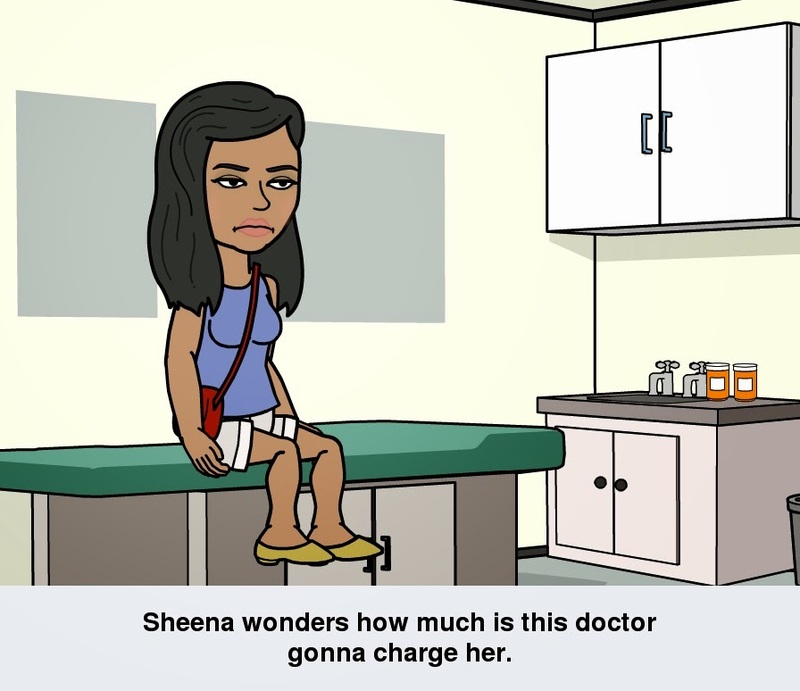 Wisdom Teeth Extraction: The Costs | Sheena V.
Sometime last week, I got two of my wisdom tooth removed. Being the first amongst my circle of friends to require wisdom teeth removal, I didn't have updated information on how much it would cost hence unsure if I could afford it. Therefore, I hope this post would be useful for those in the same boat as me. Consultation cost has to be paid upfront. My consultation was done at National Dental Centre (NDC). 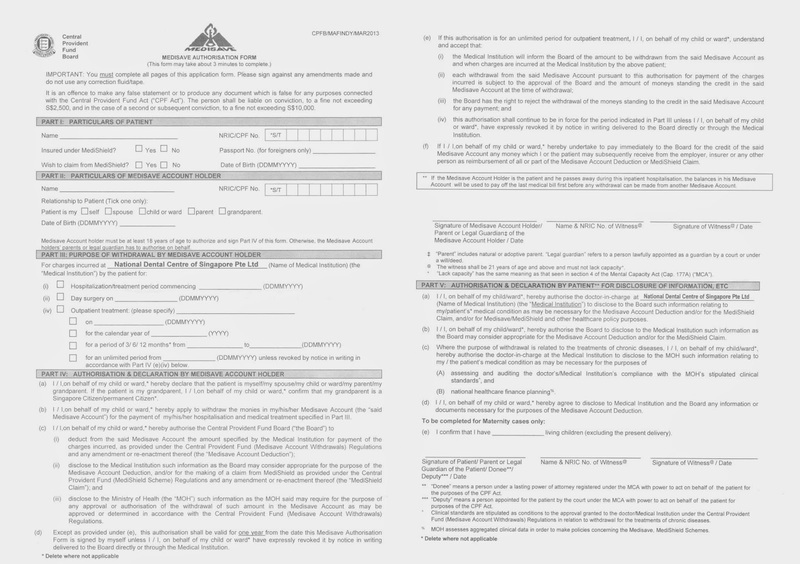 It can also be done at Changi General Hospital (CGH). Slightly over a year ago, I was referred to CGH for my wisdom teeth consultation. Cost-wise, I'm not sure if CGH's the same as NDC. The only reason I went to the NDC the second time round was that my polyclinic dentist happened to refer me there. He didn't ask for my opinion, and I didn't protest. Although CGH would have been much more convenient for me, I'm pretty sure had I requested for CGH he would have acquiesced. Important note: The dentist at CGH informed me if I waited for more than 6 months after getting my X-ray done to go for removal, I might be subjected to go for another X-ray. Reason being, it is very possible that your teeth might have shifted within those few months. The dental surgeon conducts the surgery based off the latest X-ray taken. Hence it is crucial that the latest X-ray is also recent to maximise accuracy. 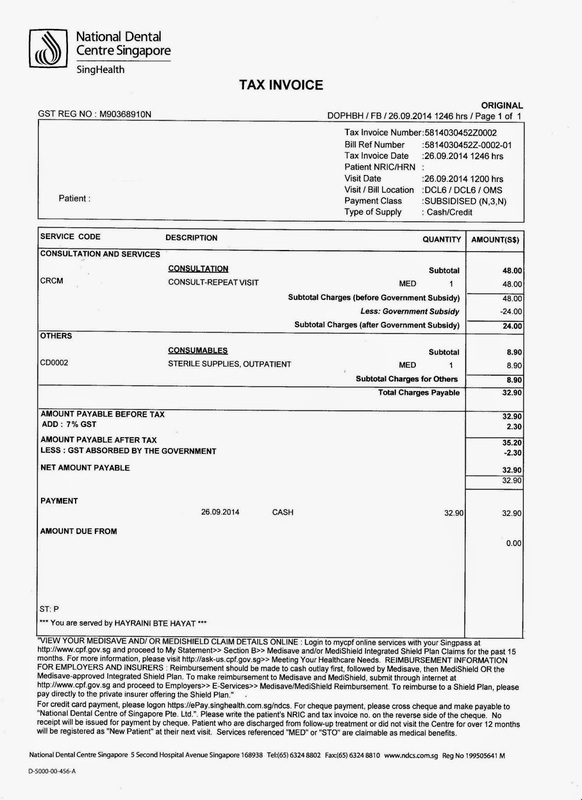 As shown above, an X-ray can be quite costly therefore please plan ahead. After the consultation, an appointment for the removal will be made. While that is being done, a nurse will go through the estimated cost of the extraction and/or surgery. This will be reflected in the Day Surgery Authorisation Form. - Removal of a tooth that has fully grown out. - Removal of an impacted tooth i.e. not fully grown out. 'Consumables' are basically the disposable items used for the surgery. For example, the disposable scrub hat and booties worn by the patient into the surgery as well as the sterile supplies used. Important Note: If each wisdom tooth only requires simple extraction, Medisave cannot be used to offset the total amount. You can only pay for an extraction via Medisave if and only if you undergo an excision during the same session. 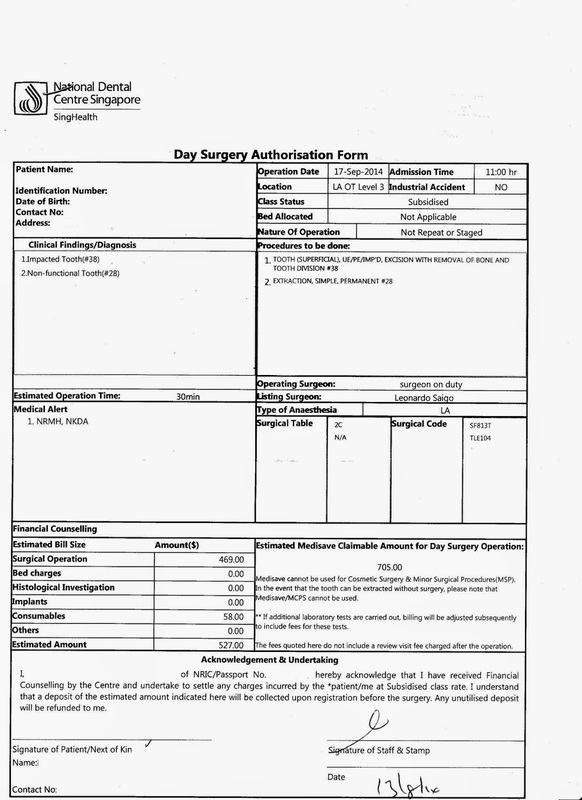 This clause can be seen under the "Estimated Medisave Claimable Amount for Day Surgery Operation" segment of the Day Surgery Authorisation Form. As my removal includes an excision, I opted to pay via my father's Medisave. Furthermore, although I'm utilising his Medisave, he need not be present for the operation. 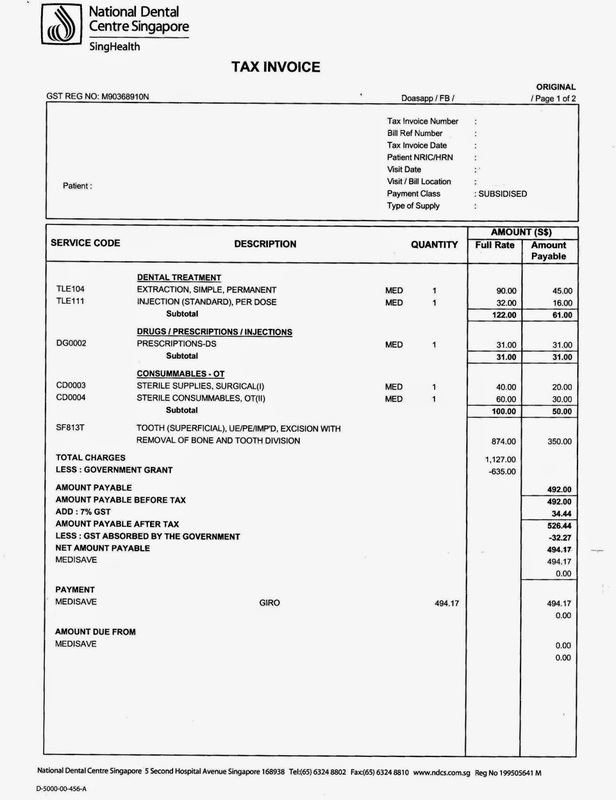 About two weeks after the surgery, I received an invoice for the actual surgery cost. As you can see, it shows that the estimate given in the Day Authorisation Surgery Form is a rather accurate. 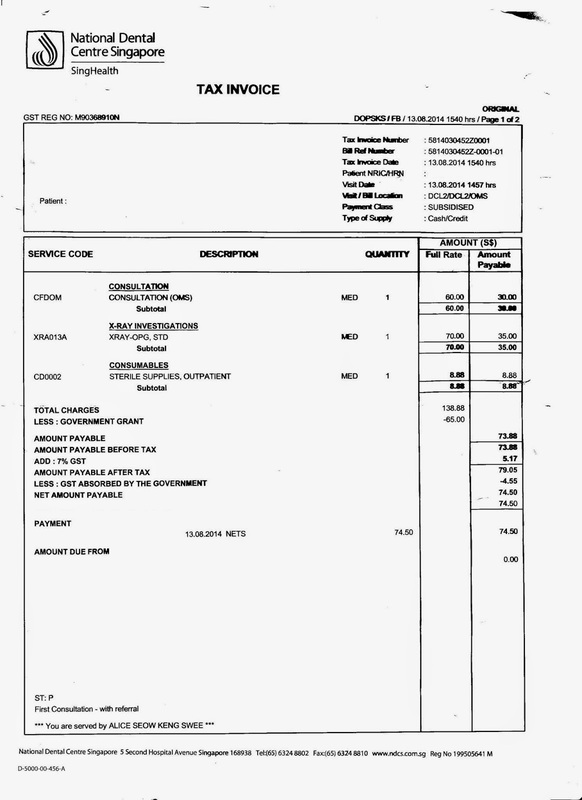 Those amounted to $31 (as seen the invoice above). Depending on the depth of the cut needed to make to remove an impacted tooth, patient may be required to consume a course of antibiotics. Slightly over a week after the surgery is done, I had to return to NDC again to have my stitches removed. This visit was neither free nor covered by Medisave, sadly. Those undergoing NS, please just get it over and done with while it's free. One surgery will get you about 6 days MC. Thank you so much for this write up. It's been awhile that i have been thinking to implants. I searched for dental implants India to get the best treatment. I am really concerned about my teeth and want to go through and know as much before taking the big decision. I recently came across your blog have been reading along. I thought I would leave my first comment. I don't know what to say except that I have enjoyed reading. Nice blog. I will keep visiting this blog very often. Your website is really cool and this is a inspiring article. Thank you so much. It is very useful article for us, thanks for sharing.